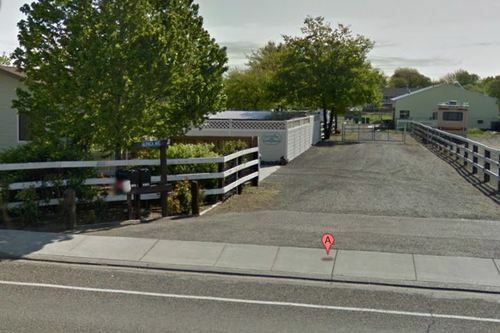 Sandollar Farms & Alpacas is conveniently located in southeast Kennewick, Washington in the heart of Washington Wine Country on the east side of Washington Street about two miles east of US 395, between 10th and 27th Avenues. You can't miss it...There is a white, 3-board fence that runs along the Washington Street perimeter of the property and a sign above the mailbox! When you arrive, a long driveway from Washington St will stretch invitingly for you to the farm gates. Drive down towards the large gray and white building through the gates and park in the lot next to the pasture. If you are using GPS, great; if not, here are some directions! 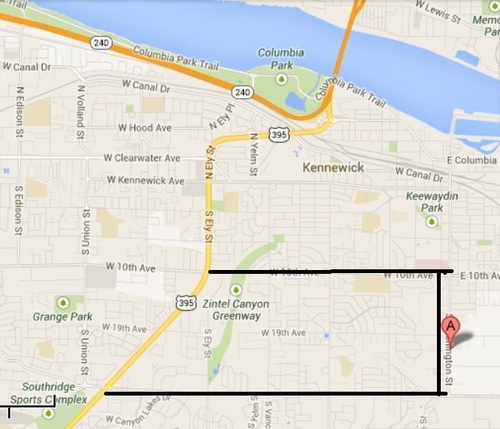 · From US 395 and 27th Avenue, head east on 27th Avenue approximately two miles to the stop sign at Washington. Turn left (north) on Washington Street. We are about 7 blocks down on the right hand side of the street. · From US 395 and 10th Avenue, head east on 10th Avenue approximately two miles to the stop sign at Washington. Turn right (south) on Washington. We are about 10 blocks down on the left hand side of the street.